Pediatric gastroenterology is an actual trend in modern pediatrics, which was recognized in the 70-80s of the last century. The allocation of gastroenterology in a separate branch in pediatrics was associated with the introduction of endoscopic diagnostic methods both upper gastrointestinal tract and intestine (colonoscopy) in the practice. The new diseases peculiar to adults have entered in the nomenclature of gastroenterological diseases such as: peptic ulcer, gastroesophageal reflux disease, Crohn’s disease, ulcerative colitis, chronic pancreatitis. Diseases of the stomach and duodenum occupy a leading place in the structure of gastroenterological diseases. Since the establishment of the role of Helicobacter pylori in the genesis of gastritis and peptic ulcer, the need for anti-Helicobacter therapy has become apparent. Currently, after initial diagnosis of the Helicobacter pylori presence (definitions in the biopsy specimen of the gastric mucosa and / or in feces), it were used the recommendations of the Maastricht consensus 3rd and 4th, including antibiotics and inhibitors of the proton pump, for HP eradication. Currently, there is accumulation of data on possible damaging effects on the stomach by cytomegalovirus infection, herpes viruses 1 and 2, Epstein Barr virus. The relevance of the problems associated with chronic bowel diseases is caused by their wide dissemination among the children’s population, as well as the frequency of development of severe forms with unfavorable outcomes and unpredictability of the prognosis. During the last decade the metabolic trend is intensively developing in medicine, it is aiming at the theoretical and applied analysis of metabolic processes at various levels as the basis or background for many diseases. Particularly active, almost revolutionary, it was formed representation about the role of violations of cellular energy exchange in the course of variety pathological processes. In Department of Gastroenterology of RSSPMC of Pediatrics it has been established the role of mitochondrial dysfunction in manifestations of pathological syndromes, which characterizing enteral insufficiency in children, and it have been determined threshold values ​​of biochemical changes, which are characterizing the disturbances of cellular energy. Also it were determined the most informative biochemical methods of research, which allow to judge the violation of cellular energy in chronic enteric insufficiency in children and changes in the functional activity of mitochondria. The obtained experimental data, which are characterizing the processes of oxidative phosphorylation in case of enteral insufficiency, help to understand the regularities of oxidative phosphorylation processes in chronic small bowel diseases in children. On the experimental model of enteral insufficiency in growing rats it was proved the effectiveness of phytoecdysteroids influence on the indicators of liver mitochondria oxidative phosphorylation, leading to a significant increase in rat body weight, and improvement of morphometric parameters. It have been developed doses and duration of ecdysten use for correction of energy metabolism in case of enteral insufficiency in children; it has been proved the corrective effect of ecdystene as a drug that improves membrane digestion and absorption in patients with celiac disease and severe forms of chronic enterocolitis in children. It was shown multidirectional effect of exogenous hormones on the functional activity of the small intestine in the model of enteral deficiency. In particular, it was established that hydrocortisone, L-thyroxine, insulin have an inducing effect on α-glucosidase and di- and tripeptidase activity of the small intestine, whereas hydrocortisone administration does not change it, L-thyroxine administration -represses it, insulin administration -induces enteral lactase activity of the growing organism in conditions of experimental enteral insufficiency. It was presented the pathogenetic substantiation of the hormonal preparations use for small intestine enzimopathy in children depending on the features of the clinical course, the severity of the autoimmune process and the degree of growth deficiency. As a result of the introduction of the technique for the detection antibodies Ig A and Ig G to tissue transglutaminase, the diagnosis of celiac disease has increased dramatically worldwide, including our Republic. At present, according to the data of American and European scientists, the prevalence of celiac disease is 1 per 100. Studies conducted in RSSPMC of Pediatrics revealed the distribution of the frequency of HLA antigens class II for the first time in children of the Uzbek population with celiac disease: the role of the alleles DRB1, DQA1, DQB1 and their heterodimers DQ2 and DQ8. It was found that the typical form of celiac disease is associated with the presence of HLA genotypes: DQA1 * 0501, DQB1 * 0201, DRB1 * 07 and * 13, atypical form with DRB1 * 12 and refractory course with DRB1 * 16 and DQA1 * 0501. The trend of the last century was the growth of allergic diseases among children, and in each third case (34.2%) they are manifested only by gastrointestinal symptoms [H. Morita et al., 2013]. This problem is particularly relevant in pediatric practice. Clinical manifestations of food allergies in children are characterized by expressed polymorphism and depend on the pathogenetic mechanisms of the disease development: Ig E associated, non-Ig E-associated or both. Directly to atopic, i.e. IgE-mediated, it was referred only immediate gastrointestinal hypersensitivity and oral allergic syndrome. The remaining forms (not Ig E and mixed forms) are manifested in the form of allergic enteropathy, allergic proctocolitis, food protein-induced enterocolitis syndrome (FPIES), eosinophilic esophagitis, eosinophilic enteritis, which are based on cellular reactions. The grouping of these diseases, based on the leading immunological mechanism, has practical importance. Currently, it have been developed clinical and laboratory methods for diagnosing these conditions, also it have been developed new methods for the diagnosis of non-IgE-associated diseases, based on the detection and determination of lymphotoxin concentration in the supernatant of T-lymphocyte cultures obtained after cells stimulation with food antigens. This test is conducted in the RSSMC of Pediatrics. It has been established dietary nutrition and drug therapy algorithms in view of the clinical manifestations of the disease. In recent decades, interest in the role of vitamin D in the functioning of many organs and systems has increased. Experts of the International Endocrinology Society (2011) conducted an analysis of the evidence base for ” Extra-skeletal” or non-classical effects of vitamin D and its potential for the prevention or treatment of diseases not associated with phosphoric calcium or bone metabolism. 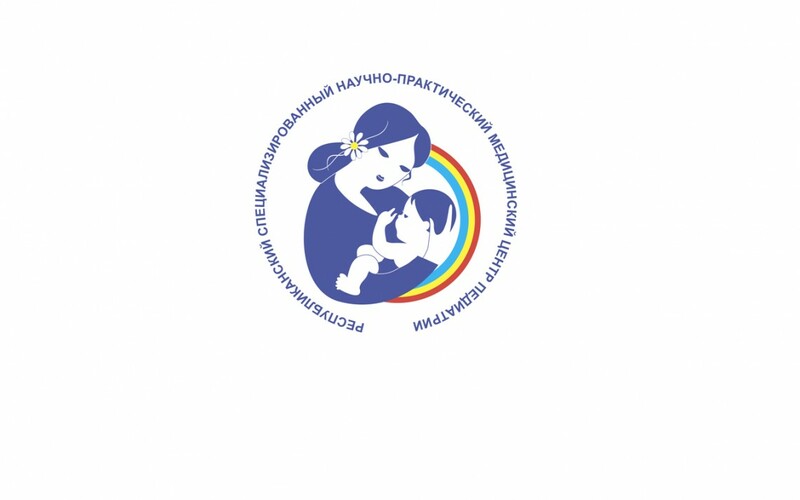 In the Republic, the status of vitamin D and clinical features of vitamin D deficiency for chronic diseases of the small intestine in children in the zone of high insolation has been established for the first time. It have been proved the influence of vitamin D deficiency on the lag in the physical development of children and the decrease in the digestive function of the small intestine; also it was established that vitamin D takes an active part in the regulation of epithelial healing of the intestinal mucosa in children with celiac disease. The revealed dependence of the p53 protein’s increase in the sites of atrophy in the mucosa of the small intestine associated with a deficit of vitamin D confirms the delay of regeneration in some parts of the small intestine and the possible initiation of apoptosis processes. For the years of Independence of the Republic, in the Department of Gastroenterology it were defended 4 doctoral dissertations, 6 PhD dissertations, successfully implemented 6 applied and 5 innovative State Grants of the Republic of Uzbekistan. The results of the study are reported at international and Republican congresses. Thus, there is a positive dynamics in improving the diagnosis and treatment of chronic diseases of the digestive system in children. However, the results achieved by domestic children’s gastroenterology are by no means final. On the contrary, they become a springboard for solving new problems, which are facing gastroenterologists and pediatricians of the Republic.